George Watson was one of the leading naval architects of his time. At the end of the 19th century over 300 great yachts were designed by Watson - two of which took part in the America's Cup. He built the yacht Britannia for the Prince of Wales, who later became Edward VII. Britannia carried 10,000 square feet of canvas and won 350 of the 635 races in which she took part. Edward VII died in 1910 and Britannia passed to his successor George V (known as 'the sailor king'). George V loved Britannia and used her to race and cruise around the coast of Britain with Queen Mary and their sons the Duke of Windsor and the future George VI. As the sons were not very interested in sailing, he left instructions for her to be scuttled off the Isle of Wight. Divers in the 1990s have examined Britannia and found her to be in good condition and suggestions have been made to raise the ship. Watson also designed a revolutionary new type of lifeboat. The original boats were driven by sail and oar but after Watson's death in 1904 petrol engines were added. 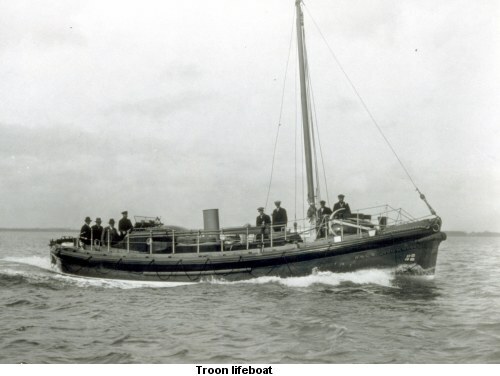 Watson-type lifeboats were still on station in the late 1960s and several can still be seen sailing as pleasure craft. Bruce was fortunate to have Watson's services free for the fitting-out of the whaler Hekla which was to be renamed Scotia. Hekla was in poor condition and the refit became almost a rebuild. Scotia proved ideal for her task and served the Scottish National Antarctic Expedition well.